In studying people’s emotions and mental states, the terms “mood” and “affect” will certainly come up. These are separate terms that are closely related and go hand and hand. This article seeks to explain just how different these words are. Psychology defines mood as an individual’s emotional state. Compared to emotions and feelings, moods are general, nearly superficial in nature, and are not likely to be caused by a specific event or stimulus. Moods are often either positive or negative, which is apparent when people say they’re in a good or bad mood. Although distinct from personality or temperament, a mood can last a long time. However, personality traits such as optimism and neurotic behavior can usually set the tone for certain mood types. If a mood lasts longer than usual, it may be considered a psychological disturbance or a mental disorder. Bipolar disorders and clinical depression are instances of prolonged mood states. While a mood is a subjective and internal condition, an individual’s posture and behaviors can greatly influence it. People can be set into a certain mood, such as the happiness of bumping into an old friend or the chronic anxiety brought on by guilt over an undesirable act. Mood is categorized into positives and negatives. Positive moods can be brought about by various aspects of life. A positive or good mood is usually regarded as an emotional state without a definite cause. For most people, a positive mood can be induced by many things such as having the opportunity to start over with a clean slate, leading a stress-free life, or even getting a good night’s sleep. Studies suggest that positive moods can improve creativity in problem solving. In other words, positive moods allow the mind to think freely and be highly creative and imaginative. Negative moods can cloud a person’s ability to think rationally and can even lead to unhealthy social relationships. Affect is defined in psychology as the experience of emotions and feelings as immediately expressed by the individual. It is a vital component in the process of an individual’s interaction with stimuli. 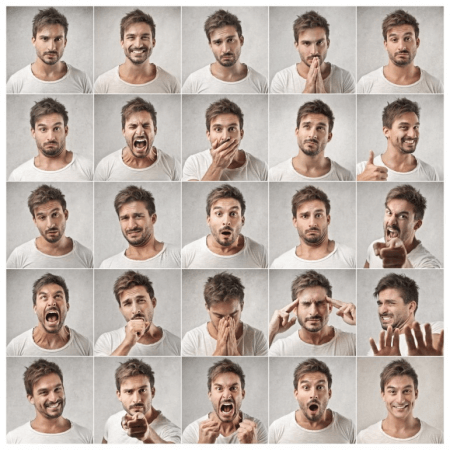 A state of feeling or emotion becomes affect when it is manifested by way of observable behavior such as general demeanor or a change in vocal, facial, and gestural behavior. Emotions such as euphoria, sadness, and anger are usual examples of affect. So what’s the difference between mood and affect? 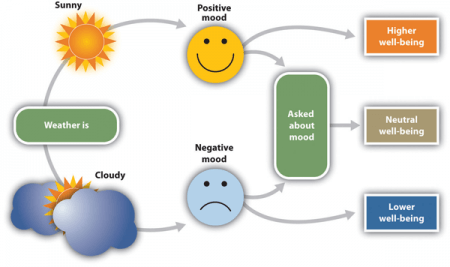 In psychology, a mood is an individual’s emotional state while affect is the expression of such emotions; therefore, mood is an affective state. In most cases, moods are superficial and are caused by non-specific stimuli. In contrast, affect can be intense emotions brought about by specific events or stimuli. Moods can last for long periods while affect is produced as an instant reaction. A person’s specific mood is sometimes difficult to determine, while affect is obvious and apparent all the time. This video discusses affect and mood in full detail as well as showing some of their appearances in depression.